Bordered by Kazakhstan, China, Tajikistan, and Uzbekistan in East Asia is Kyrgyzstan (pop. 5,265,000; GDP/cap US$485). The country is known for its great natural beauty, and is often called the Switzerland of Central Asia. 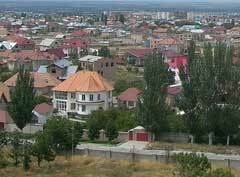 Kyrgyzstan was the first CAR country to introduce private ownership of land, and passed a new Land Code in 1999 (amended December 2003), and allows 99 year leases. To Kyrgyzstan's credit, the government has not practiced expropriation of foreign properties and is not showing any sign that it will in the future. However, foreign ownership of land is not allowed. The void left by ethnic Russians leaving in thousands in 1991 is not yet filled, and the void is growing as more people are leaving the country for a better life up North.